Impressive style by enveloping lines and sporadic but so dazzling white to enchant us immediately and in which Marlon Texeira certainly not lost, but instead finds its natural habitat. 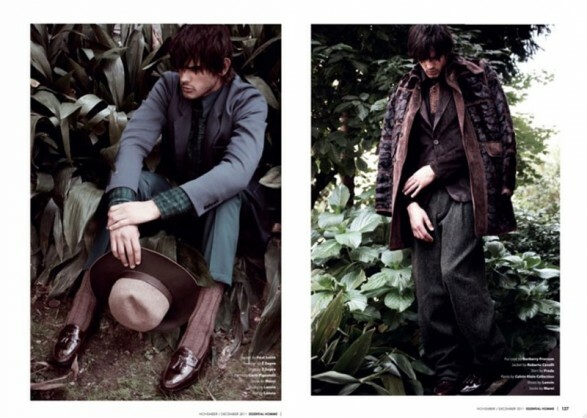 The Brazilian model is in fact the heart of this magnificent editorial entitled A Man Alone and signed by Saverio Cardia for the illustrious Essential Homme. By Burberry Prorsum Roberto Cavalli, the luxury brand once again becomes the keystone for a deliciously seductive winter, where the very cold (always irresistible seducer) makes us shake voluptuously elegant sweaters or jackets in warm gray metal.